CMO is actively involved in the organization of four summer schools. This program is co-organized together with in cooperation with the School of Journalism and Communication of Peking University. The program is open to the full variety of academic work from the field of communication and media studies for young scholars, PhD students, and master students who have strong academic interests. The summer school should especially interest scholars with a background in international communication studies, intercultural communication studies, Chinese/European media studies, media linguistics and culture/language studies. It aims to bring together researchers from Europe, China, the United States and other countries or regions in order to debate contemporary issues in media, communication, political economy and cultural studies in the background of a new world power structure in the making. International Spring School – Media System: Comparative and Transitional Perspectives. Focus on China. This Spring School is addressed to advanced Master and PhD students and junior researchers in communication, media studies, journalism, political communication, sociology of communication and other related fields. It is particularly focused on the notion of “Media System” presenting, discussing and comparing global media systems and the methodological and interpretive challenges that are involved. This project is in cooperation with the Department of Political Sciences (University of Perugia) and the Department of Communication (UC San Diego). The Spring School takes place just before the opening of the International Journalism Festival (IJF), students may be in contact with its sparkling environment and have the chance to discuss with selected and prestigious figures of international contemporary communication in dedicated sessions. The Documentary Summer School is jointly organized by the Università della Svizzera italiana and the Festival del Film Locarno, in collaboration with the Semaine de la critique. The DSS offers places for up to 25 university students in the fields of cinema, media and communication. Graduated students, early doctoral students and emerging filmmakers are also welcome to apply. The DSS explores different research and production relevant issues concerning documentary cinema. A special attention is devoted to ethical questions. 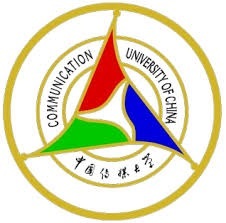 Thanks to the cooperation with the Communication University of China (CUC) this program has a relevant presence of students coming from China. This program is in cooperation with, Communicaiton University of China (CUC), Université de Lausanne, it is also a pilot project aimed to launch a master program in the same fields. The program is divided in two parts: the first part will present the economic, sociologic and legal context of communication in western countries; the second part will be dedicated to the in-depth study of specific areas of Communication Law. The first part offers a general introduction to the European legal system (with a focus on enforcement mechanisms) and a large presentation of the main issues of media law as well as of the ethics of communication. The second part consists in day courses that include topics such as privacy and data protection, telecommunication law, intellectual property, aspects of private international law, issues of international law, competition Law, Internet governance, broadcasting law.